Brian Velasco, drummer with the rock band Razorback, filmed himself as he jumped from the window of his apartment in Malate. A rock musician recorded himself on Facebook as he leapt to his death from the top of a 33-storey tower block in Malate, Manila. Brian Velasco, drummer with the band Razorback, recorded his apparent suicide at 9.45am today (Wednesday, January 16). Before he leapt to his death, the 41-year-old said: “Pakialagaan niyo na lang si Pochito. Here we go. Here I go”. Pochito is believed to be the name of his dog, and the sentence translates as a request for it be looked after. The live feed horrified thousands of Facebook users before the video was removed. As no suicide note was left, police consulted with his family before recording the death as a suicide. His brother revealed that he had been suffering from depression. Mr Velasco, a former drum instructor at RJ Guitar Center, joined Razorback as a replacement for Miguel Ortigas in 1996. Razorback was formed in 1990 and performed regularly at the now-defunct Kalye, a club in Manila. It has also performed on the same stage as bands including Metallica and Rage Against The Machine. Among their best-known hits are Payaso, Ikot ng Mundo, Diwata, Wakasan and Star. Twitter users have also paid tribute to the musician and expressed condolences to his family and friends. 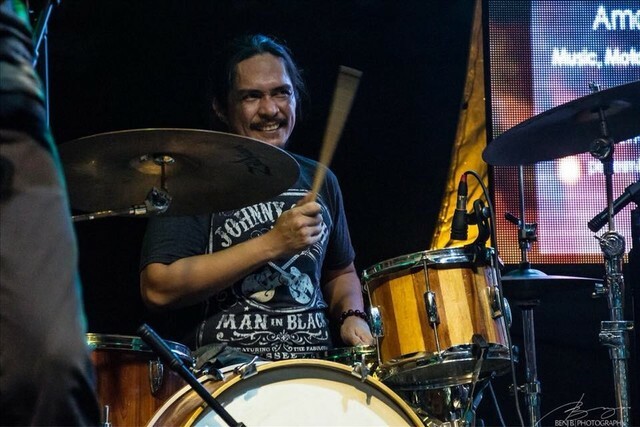 Another tweeted that Mr Velasco was “one of the best drummers on the Filipino rock scene”. In memory of the rock musician, music channel MYX tweeted a throwback performance and lines from the Razorback song Wakasan.